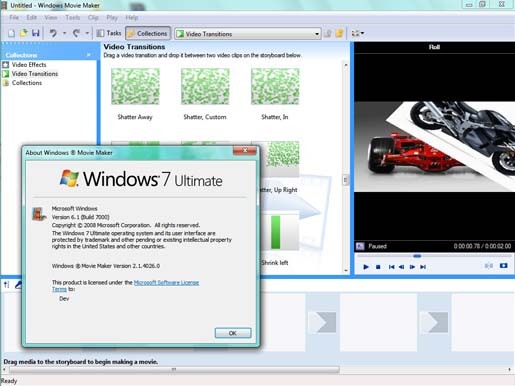 Enhanced Portable Windows Movie Maker For Windows - Free Download ! Definitely, you know the importance of the Windows Movie barista-portable-espresso-maker-perfect-for-indoor-and-outdoor/">Maker, which is an inbuilt application of Windows Operating Systems. Nevertheless, in the newer version the features are missing in the name of simplifying the how-to-recognize-the-characters-from-an-image/">application, it has taken the people to the extreme irritation. To come out of this trouble, you can start-menu-for-portable-devices-pstart/">have this portable Windows Movie Maker in your USB drive and enjoy all of its features. It has the ability to easy-way-to-calculate-online-fee-for-paypal/">support original 147 transitions and 76 effects to keep you busy and dressing up your videos. Moreover, it is compatible to work with Windows 7, Windows Vista and Windows XP to have all the goodness of classic yuuguu-makes-screen-sharing-simple-in-gtalk-and-gmail/">Windows Movie Maker.